Every year the Walden Chamber Players presents concerts and lectures at schools across the country for children of all ages. They consider these events fundamental to building the next generation of music lovers and inspiring the next generation of classical musicians. The Walden Chamber Players also works to bring chamber music to other underserved communities including nursing homes, centers for disabled adults and correctional facilities. The Walden Chamber Players has developed several educational curricula that are designed to explore music’s role throughout history - as a forum for social dialogue and exchange and as a tool in the struggle for greater civil and human rights. Many of these programs are focused on a specific era of history and are designed to paint a vivid picture of the period through the exploration and juxtaposition of its music, art, and literature. 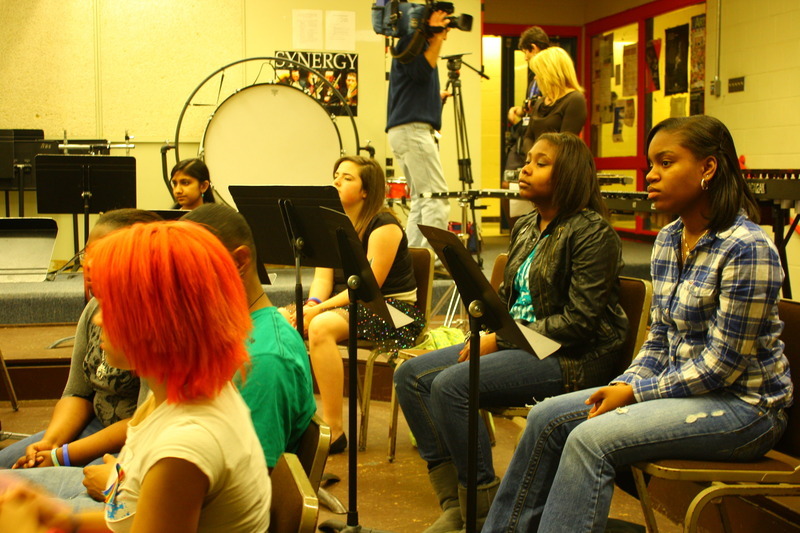 Programs often culminate in a collaborative, multi-media performance by the ensemble and the students. The Walden Chamber Players know how important chamber music experience can be for young aspiring musicians. To encourage and challenge instrumentalists dedicated to the performance and study of chamber music, the ensemble founded the Walden Chamber Players Young Artist Competition in 2007. All competitors are evaluated on their ability to listen, adapt, and collaborate within an ensemble and the winner is invited to play a major work with the Walden Chamber Players on a public concert. Since it is rare for a young musician to have the opportunity to collaborate with a professional chamber ensemble, the Walden Chamber Players tries to create opportunities for collaboration with young artists whenever possible and often incorporates these performances in their residencies. The Walden Chamber Players have created several extensive and highly successful Residency Programs at both the college and high school level. These programs run over several months or years and include intensive coaching, masterclasses, collaborative performances and outreach events. The goal of these programs is to foster a culture of chamber music within the school, encourage individual student growth and enhance visibility of the school’s music program within the community. For an overview of our Education Programs watch our "Beyond the Stage" Video! “Playing chamber music has allowed me to move further beyond the playing of notes, and farther into the creation of music." The Walden Chamber Players outreach is fabulous. It’s such a good experience for the students to hear these things from professionals. It hits home. The students learn that all instrumentalists, whether they are professional or not, have to have the proper techniques to perform well."